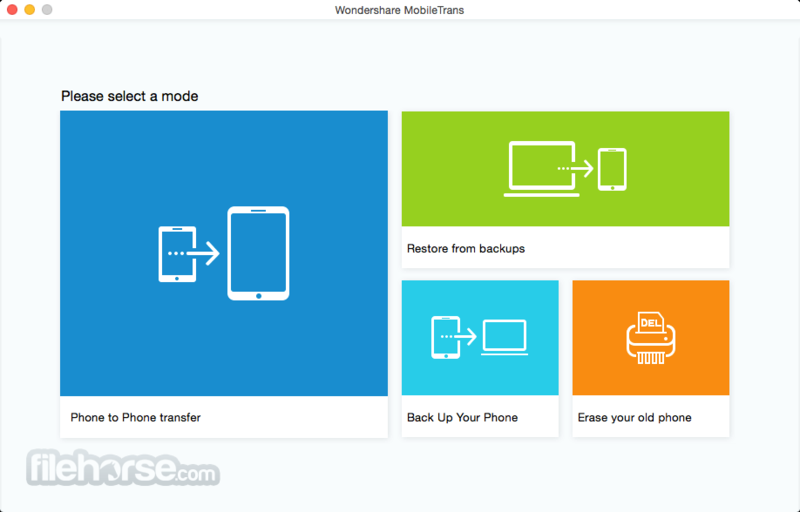 Wondershare MobileTrans for Windows Phone Transfer - Transfer photos, text messages, and many other file types. Transferring apps, contacts, media and text messages is easier now. If you think that getting stuff from your old mobile to your new mobile is difficult, think again. Cellular companies tend to only transfer contacts between phones and leave out the call logs, music, text messages, pictures, apps and the videos. 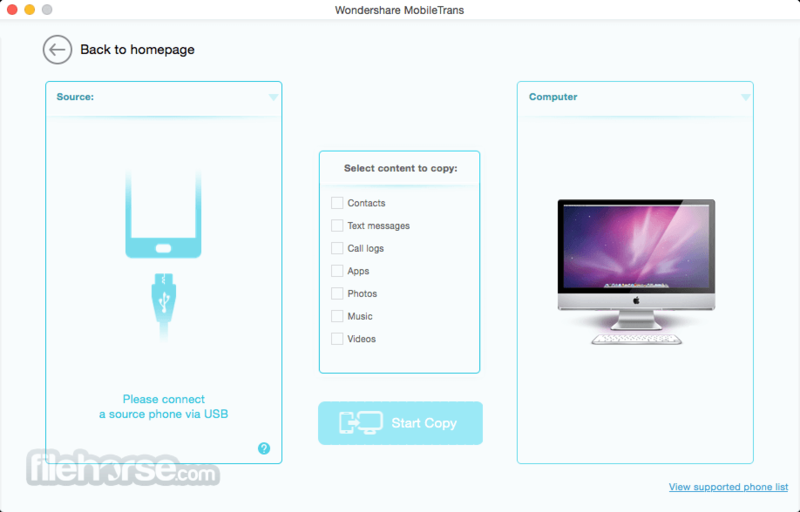 Wondershare MobileTrans is a piece of software that will do all that for you. Transfer more than just contacts: Copy over your text messages, apps, photos, call logs and music between all your devices with a single click. Transfer to multiple devices: Transfer any data you want shared between different devices such as Android, iOS and Symbian. Contract phones are also supported: Move your data from old phones to new ones, regardless of which cell service the phones have. With a click data can be transferred between your phones, whether they are Symbian phones(Nokia), Android phones (Samsung, HTC, LG, Sony, Google, HUAWEI, Motorola, ZTE) and iOS phones (Apple, iPhones). Transfer any data between two phones with no fear of any data being lost. You can even transfer data over without having to stop the process. Completely free of any risk. You can transfer all you content between any supported phones that on set to any network. Verizon, AT&T, T-Mobile, Sprint and others without hassle. No more relying on the personnel at the stores to move contacts over from old to new phones. MobileTrans transfers anything and everything you need with one click. 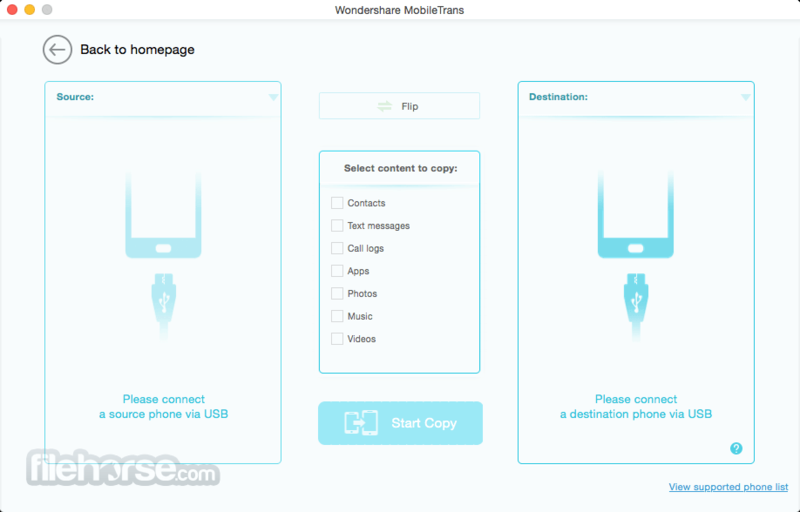 Use the Wondershare MobileTrans for Desktop PC if you want to: Move data from phone to phone on the same network. Migrate from different networks and keep the data on your phone. Swap data from contract phones to non-contract phone. Note: In demo version, you can transfer only the first 5 contacts at a time. You cannot erase data from your old phone.